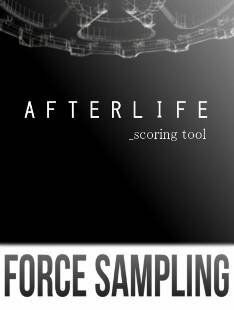 Afterlife is a Kontakt library featuring 5,1 Gb of sample content spread across 700 patches in 11 categories. The sounds have been processed and morphed from several different soundsources, everything from acoustic instruments like piano and guitar, to analogue sounds from a modern modular synthesizer. The library content cover a wide scope of different genres (cinematic, ambient, dnb etc. ), but it's goal is not to provide bread and butter sounds for modern genres, instead the focus is to bring unusual and unexpected sounds to give extra spice to your compositions. Distorted synth brass from dystopian lands, surrealistic drones from your weirdest nightmares, ethereal pads full of enlightenment and morphed acoustics that sound both natural and otherworldly, all in the same library.